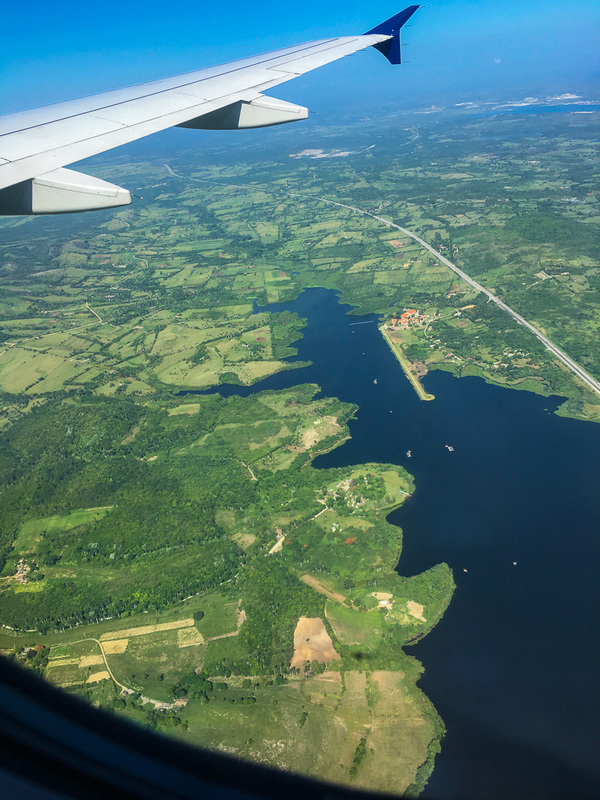 I can’t believe it’s been almost a year since I visited Cuba. I amassed so many fond memories during my week on the island. Each town has its own unique personality weather it be Havana, Trinidad, or Cienfuego. If you’re thinking of taking a trip to the Caribbean nation, I say go. 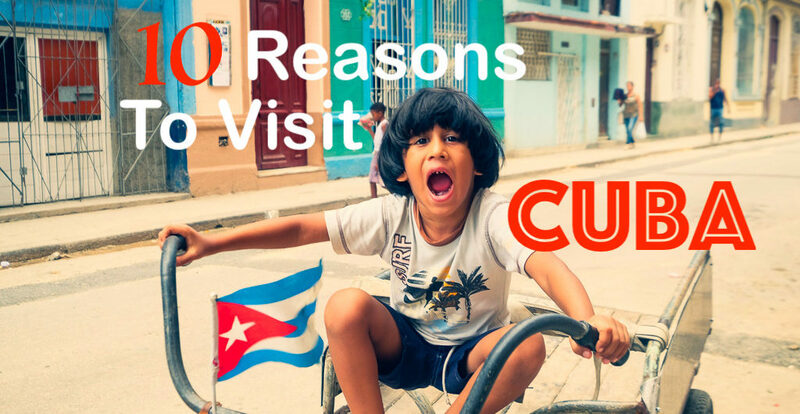 Here are 10 reasons to visit Cuba. The tropical climate produces foliage the color of emeralds! Absurdly expansive vistas meet towering green mountains, all swathed in vegetation. 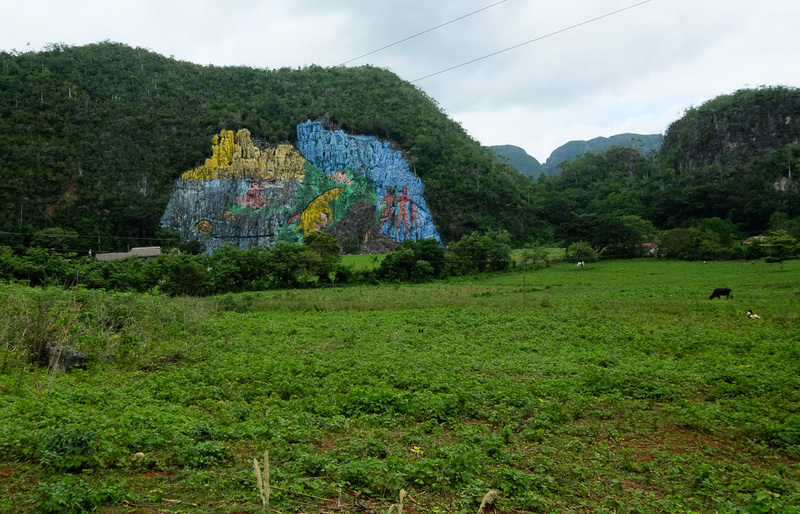 One artist highlighted the verdant meadows by painting the limestone cliffs hovering above. Leovigildo González Morillo designed the 395-foot Mural de Prehistoria. It took 18 people four years to complete, resulting in a depiction of world history up to the age of humans. 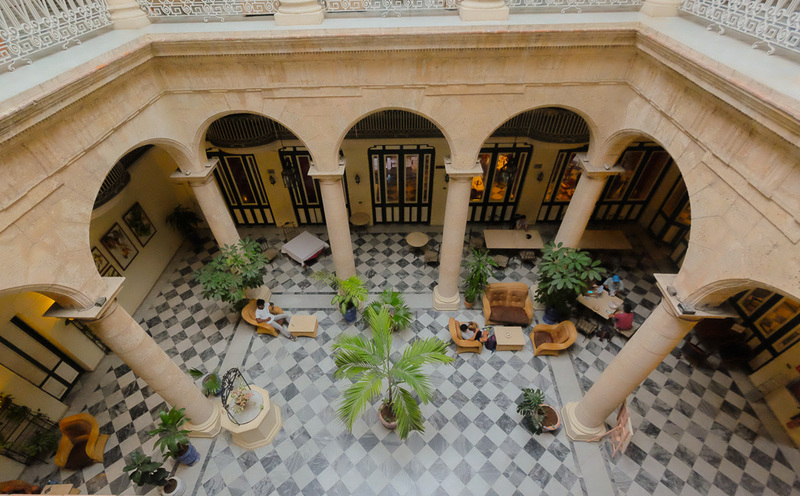 Colonial buildings with ornate Spanish and Moorish influence sit majestically along the cobblestone streets of Havana. While some have seen the wear of neglect, there are numerous jaw dropping gems. The craftsmanship hardens back to a time when construction was meticulous. 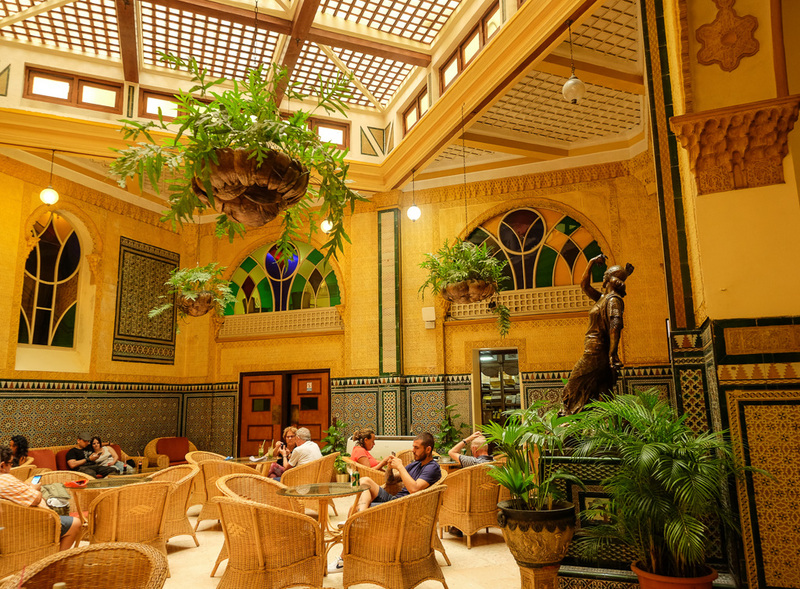 Inlaid tile, Greco-Roman columns, and ornate wrought-iron were de rigueur. Hotel Inglaterra, opened in 1875, has preserved its neoclassical style. You don’t have to stay there to enjoy it’s grandeur. The lobby restaurant is open to the public. 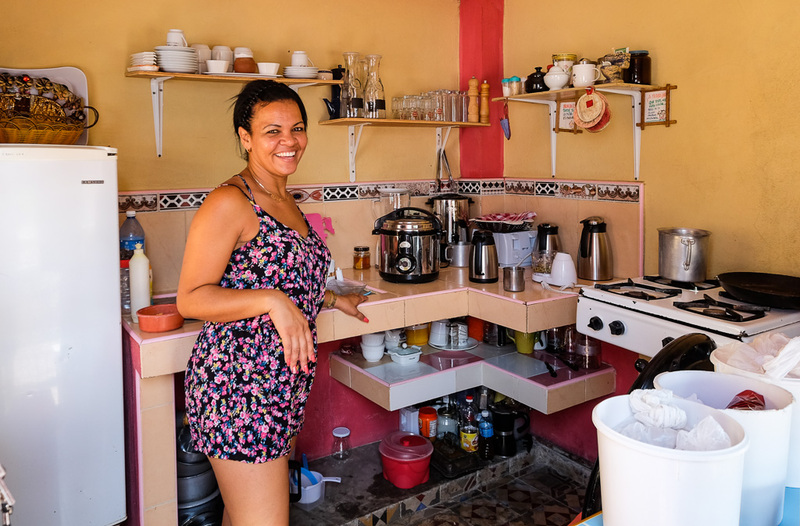 With over 270 years of growing coffee, Cuba has perfected the elixir. They’ve managed to concoct a smooth java with the kick of rocket fuel mostly grown without the use of chemicals. It’s said a Cubans day doesn’t begin until the aroma of coffee floats through the air. I stayed at Airbnbs’ during my visit. 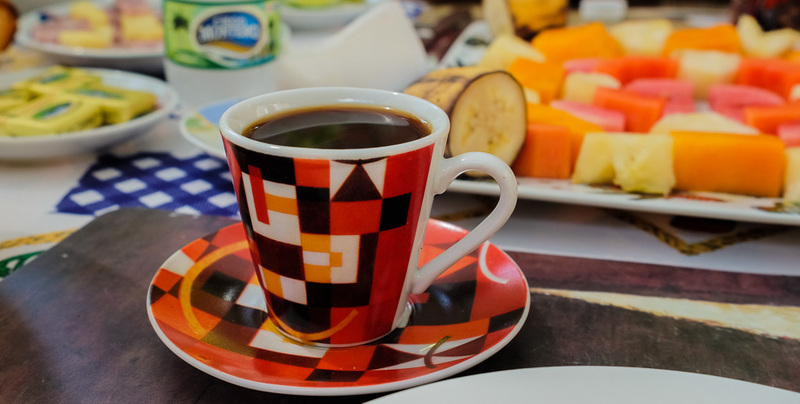 Every host brewed copious cups of the deliciousness! 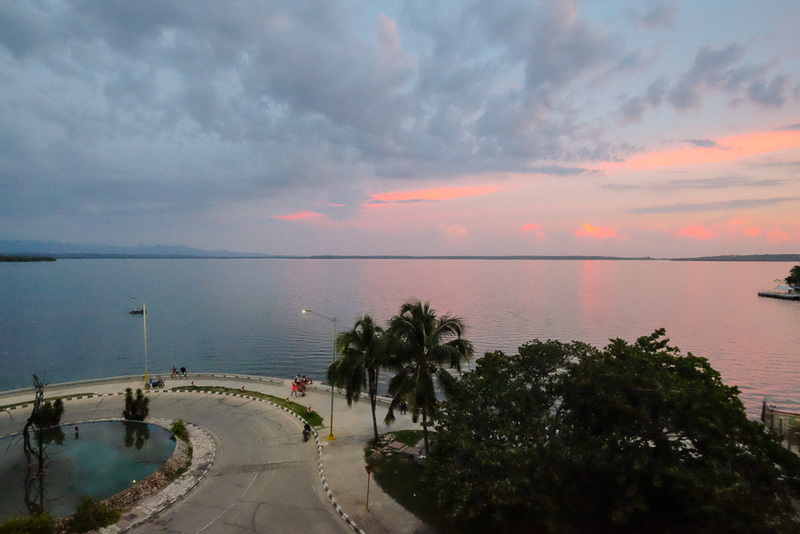 Cuba may be smaller than the state of Pennsylvania, but it boasts huge technicolor skies as the sun goes down. 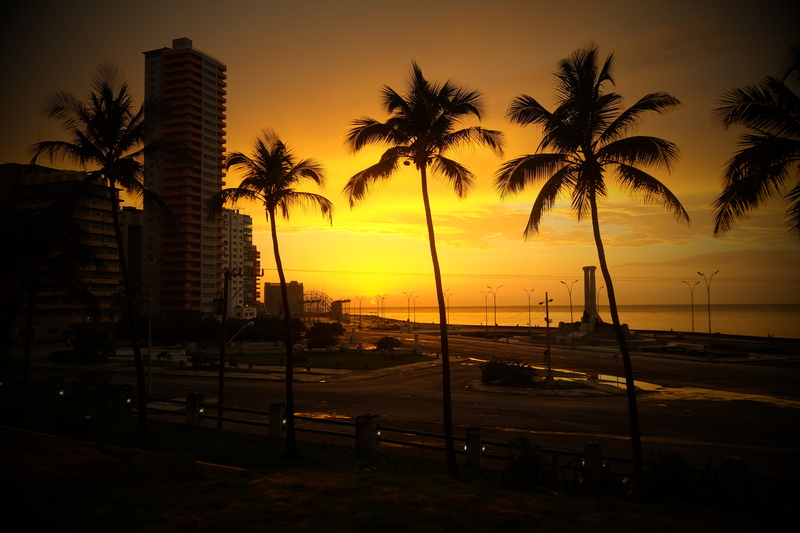 Seaside cafes, promenades, the famous five mile Malécon along Havana Harbor, hotels, and more are prefect viewing spots for Mother Nature’s raw beauty. 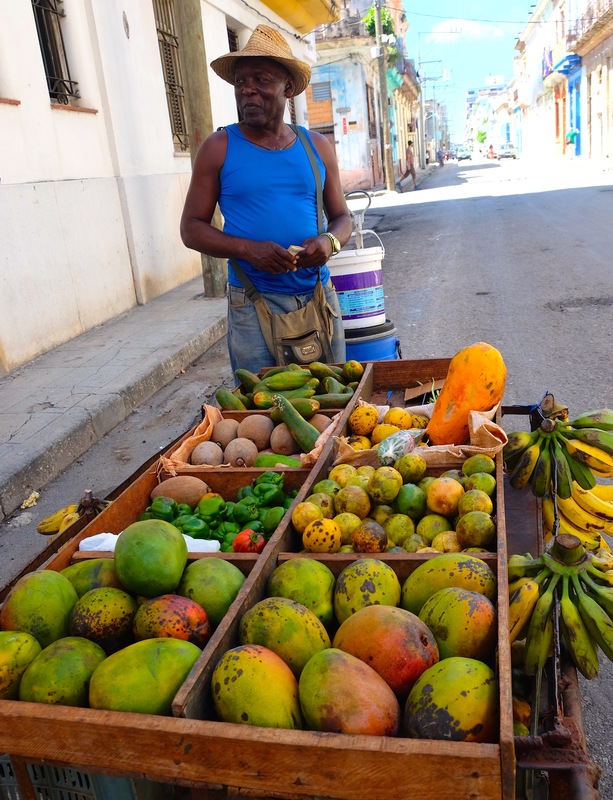 It’s almost impossible to NOT eat healthily in Cuba. Every day vendors sell freshly picked goodness throughout the cities. It’s inexpensive and plentiful. The tropical weather lends itself to citrus, bananas, guava, mangos and other island fruits. More than once, a smiling local would approach me asking my name and where I was from. The Cubans could not be nicer! They are proud of their country and want to share it with you. My Airbnb hosts were phenomenal! They would prepare breakfasts fit for a queen and made me feel welcome in their home. 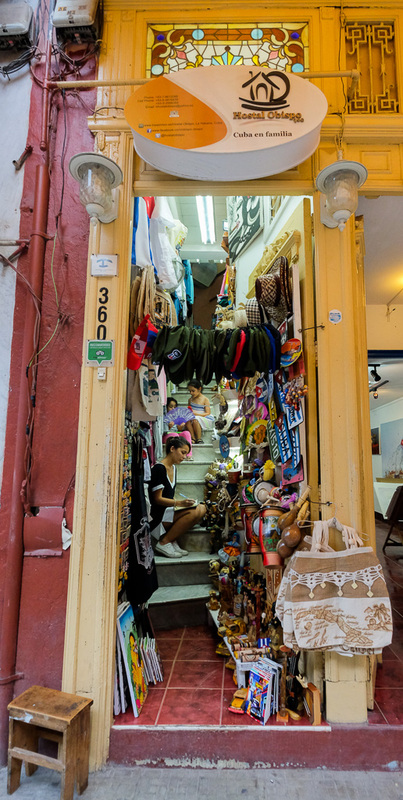 Little, family run shops with hand crafted goods are all over Cuba. It’s a joy to meet the generations working at the stores. Artesania markets sell trinkets fun to take home as souvenirs. Fondos Cubanos de Bienes Culturales shop sell the work of officially recognized local artisans which sell higher end goods. 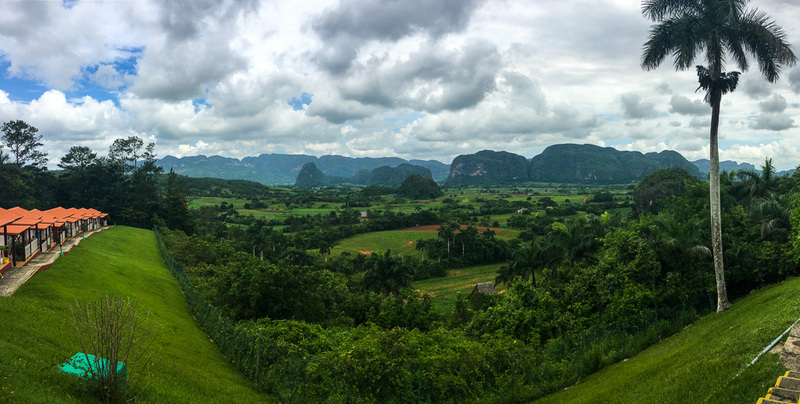 The worlds finest tobacco is grown in Viñales, 180 miles outside of Havana. The large, hardy leaf is cultivated at the bottom of the valley. I visited Rancho Alegre. 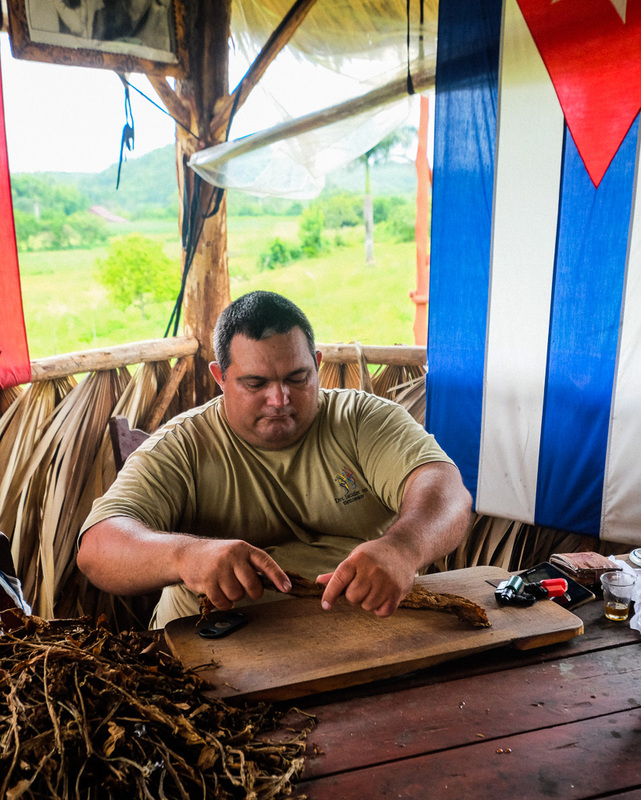 After a tour of the drying barns, a man demonstrated how to roll a cigar. He used the portion on either side of the rib going down the middle of the leaf. Once it was formed, he dipped the end in honey because that’s the way revolutionary Che Guevara smoked his cigars. 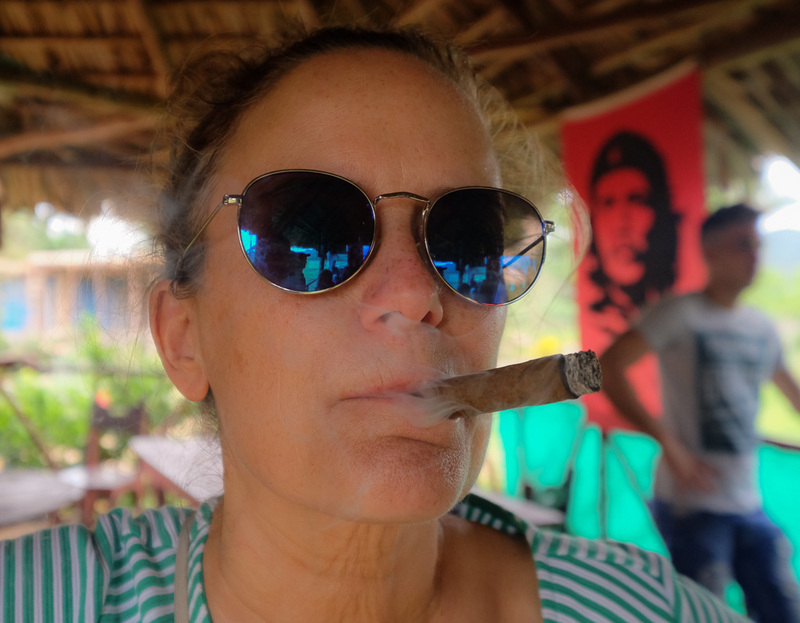 I jumped at the chance to try the habanos (Cuban cigar); so smooth! Ninety percent of the tobacco goes to the Cuban government. They pay the farmers and allow them to keep and sell the remaining 10%. 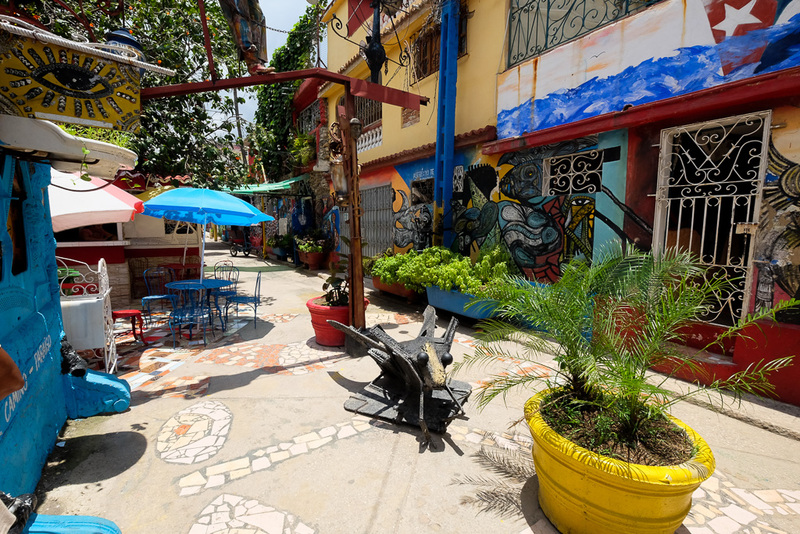 Callejon de Hamel is a community art project along a colorful, narrow alley in the heart of Havana. It stretches two blocks and sells amazingly cool one-of-a-kind art pieces. The islands African influence is showcased in many pieces. Nearby art school students and independent artists collaborate on murals lining the walls. 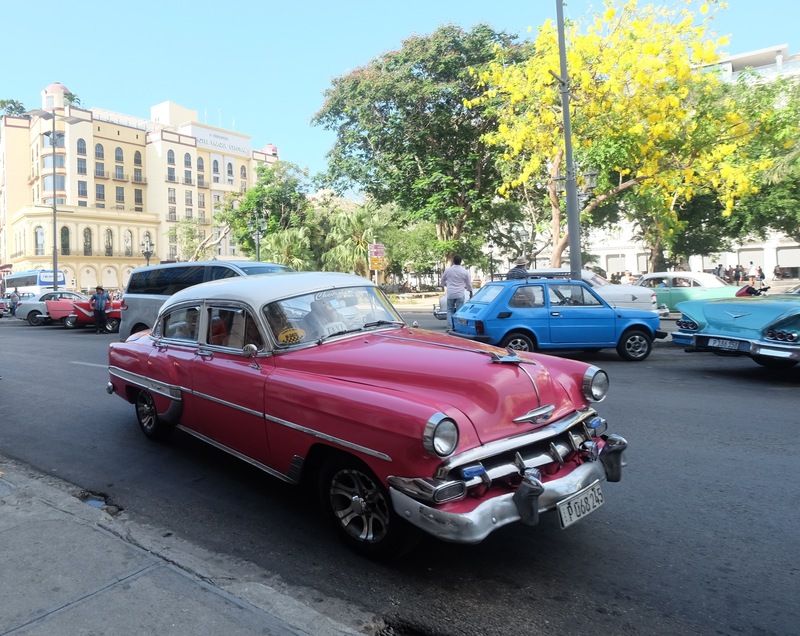 I’d be amiss if I didn’t mention the shinny classic cars of Cuba. A visit to the island must include at least one ride. The government owns the car rental companies. The aforementioned Hotel Inglaterra has cars out front ready to cruise. 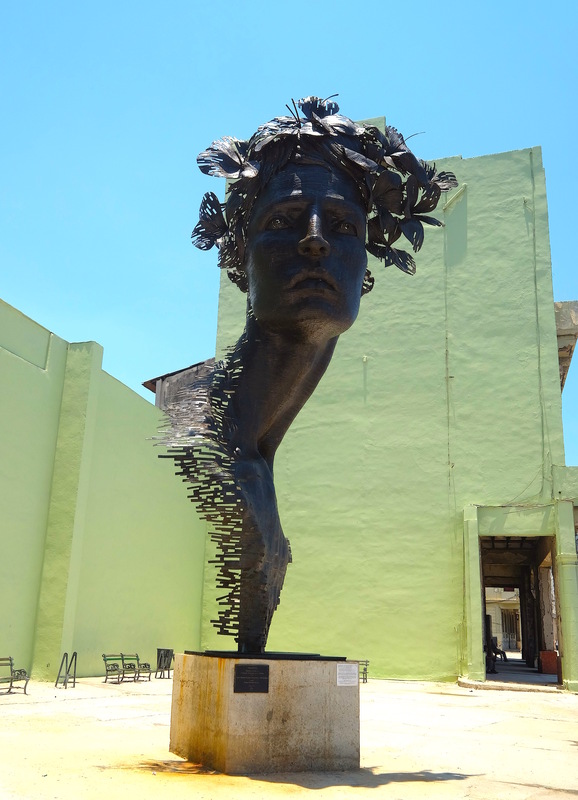 A turn through Old Havana and along the Malécon is the quintessential Cuban experience. Next postMaster’s Degree Student Needs Help with Travel Survey.